Every time I listen to Government Commisions (Mogwai’s collection of live recordings from the BBC) I get the same feeling. 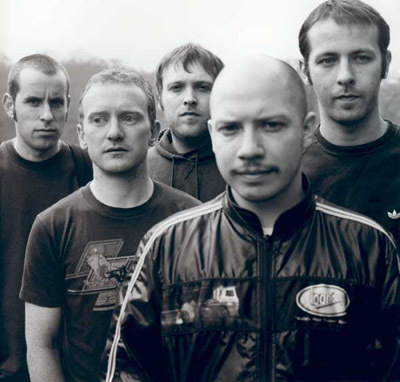 Radio 1 DJ John Peel introduces them in a minimalist, but succinct and no-nonsense way: “Ladies and gentlemen… Mogwai.” My heart starts beating faster, breath shorter. I can feel the little hairs in my ears and the small brittle bones in my eardrum perking up in anticipation. Mogwai. It all begins and ends with Mogwai. In a mere moment molecules smash together and explode in a bright rainbow of sounds and textures. Supernovas, black holes, meteors. Stars are born, and stars die, all between track one and (in the case of the BBC Sessions) track ten. In reality, what I am saying here is that is there are no words that I know with which I can describe the undeniable beauty of the compositions these guys make. They are larger than anything else I’ve ever heard before. Do yourself a favor, and listen to Mogwai.